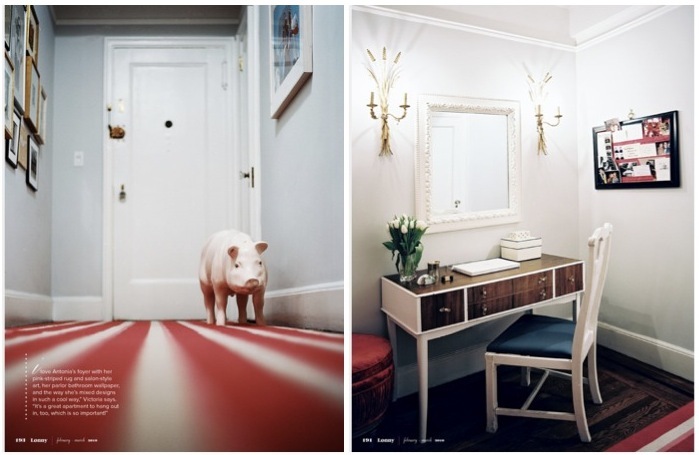 Since its' launch in 2009 Lonny magazine has published some seriously memorable spaces. 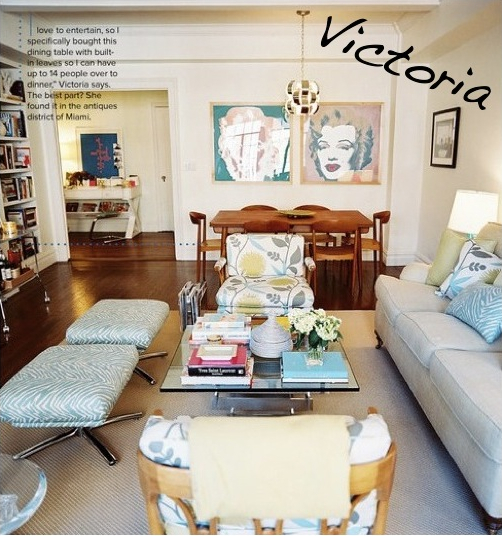 In the Feb/March 2010 issue sisters Antonia and Victoria Thompson were profiled, and although they live in the same Greenwich Village building and have identical apartment layouts, their styles are anything but carbon copies. Above,Victoria's Palm Beach mid-century modern aesthetic is displayed through clean lines, lucite, and pops of bright color. Below, Antonia's apartment which embraces and eclectic "hodgepodge" of antiques and ethnic pieces. There is no question that both ladies have exquisite taste, but in 2 years of coming back to this layout I have yet to settle on my clear favorite. Which apartment do you prefer? View the entire story here. The second apartment is definitely my favorite, maybe it's because of the pig ;) so cute! Wow, love these beautiful and inspiring pictures! 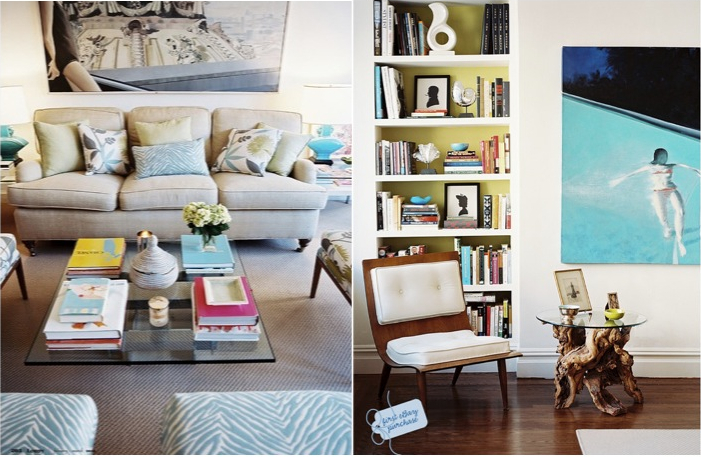 So many amazing interiors! They are both very nice. I´ll take both! Love the inspiration. Im busy with my new house and its so hard to choose something. This pictures will help alot! inspiring post! Lovely blog! Visit mine http://pleasestrikeapose.blogspot.com/ and if you like it follow me! I agree it's very difficult to choose! I'm a sucker for interior design, but now it's sort of double cool b/s the layout of the apartments is absolutely identical!